My name is Madelyn and my husband’s name is John. We both work as executives in the automotive industry. I became a fan of the Mosaik Homes Facebook page when a friend had shared one of their fantastic posts about fall decorating ideas. 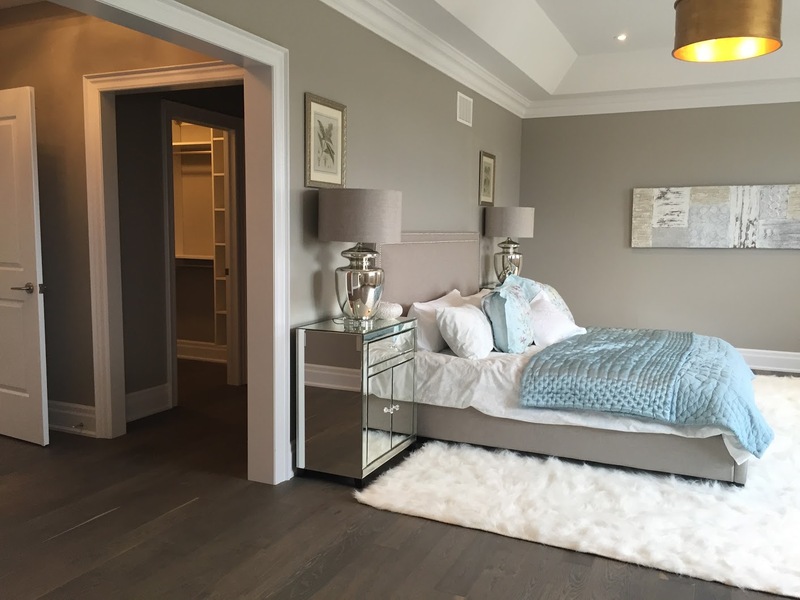 They had announced that the Vales of Humber in Brampton by Mosaik Homes was going to be holding a grand opening on the weekend. My husband and I have been talking about buying a new home with a little more space for entertaining needs and more room for our children. We spent some time researching, and we have attended a few open houses in the area. We hadn’t found what we both felt was a perfect home for our family. 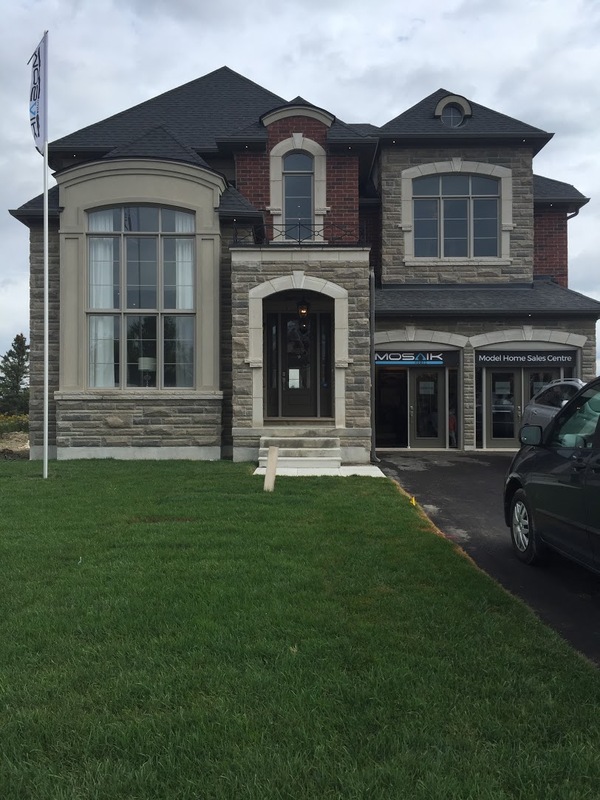 John and I had both been looking at The Vales of Humber by Mosaik Homes models online and decided to stop in to see what they had to offer. I am so glad we did. craftsmanship in the brick work and beautiful windows. 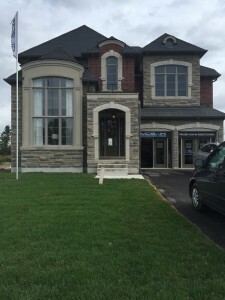 We stepped inside the office and Peter Badali of Mosaik Homes greeted us warmly and put us at ease. He took the time to talk to us and listen to us about our specific needs of our future home, and got to know a little more about our family while we took a look at the displays of the variety of homes being offered as part of their 45’, 50’ and 60’ Executive Estate collection in this new community. 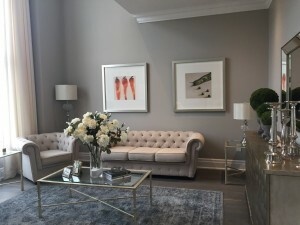 Peter invited us to walk through the model and see some of the optional customizations and fine detailing that the homes of the Vales of Humber in Brampton by Mosaik Homes had to offer. The model home we visited is The Langley (Elevation B). The home is 4025 square feet and offers many optional upgrades and customizable options. The foyer is tiled and opens up to the floor above giving the feeling of space. To the right is a beautiful living room with a partial cathedral ceiling and large windows give a feeling of airiness and would be perfect for formal entertaining with its detailed trim and mouldings. Behind the foyer there is a double closet and across from there are two beautiful French doors that lead to the den which will give John and I the privacy we need when we are working from home. The dining room has an arched doorway that is bordered by decorative columns and a half wall. There is a built in wet bar across from the dining room which will be perfect for our entertaining needs. To the rear of the home there is a spacious kitchen with built in range an island and breakfast the room for our culinary adventures. 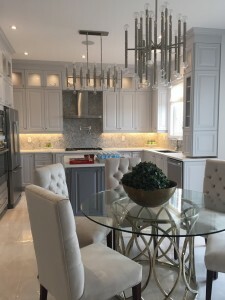 The kitchen flows naturally into the family room that has optional detailed ceilings along with a direct vent gas fireplace which will be cozy on cold winter evenings. The main floor will give us all the space we need for entertaining guests comfortably. Towards the center of the home are the stairs to the 2nd floor as well as the basement. The powder room and sunken laundry and mudroom also have access to the garage along with secondary stair access to the basement level. dressing area along with a ensuite bath with double sinks, a soaker tub, and a glass shower. The details including a vanity and optional detailed ceilings and optional gas fireplace give a warm relaxing environment. The bedroom also has an optional uncovered private balcony with French doors that overlooks your back yard. I can already picture myself here enjoying my coffee in the mornings. 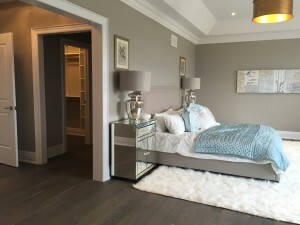 The other 3 large bedrooms also feature walk in closets, and ensuite baths (Bedroom 3 & 4 have a shared Jack & Jill bath). 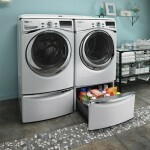 Our girls would have all the space they could dream of in these rooms. The large unfinished basement has a rough in for an additional 3 piece bath. The basement also features a cold cellar. This large open space gives us a perfect area for our media room and library along with plenty of space for additional customizations and storage. 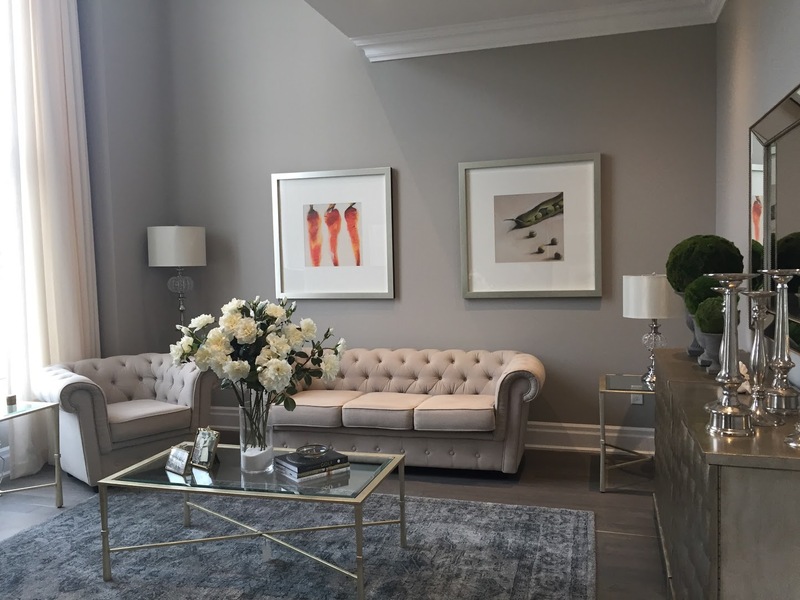 Peter Badali of Mosaik Homes not only gave us our tour but took the extra time to help us envision how we could create our own dream home with all the details and customizations we desired in the Vales of Humber in Brampton. John and I think we have found our dream house! Thank you so much again Peter! I encourage everyone to stop in and take a look at the model home and to speak with Peter. We are so happy we did! For more information on The Langley, or any of the other models available in the Vales of Humber, please visit the Vales of Humber website, or contact Agent Peter Badali at: 905-865-9779.